Four pizza-loving teen ninjas battle the forces of evil under the tutelage of their wise old sensei. Teenage Mutant Ninja Turtles? Nope. LEGO has a hit new toy brand on their hands, but the tie-in cartoon suffers from its blatant swiping of the TMNT concept. The four teens even wear one different primary color per character and specialize in one weapon each, just like the Turtles. That’s not to say the show isn’t entertaining, but it’s difficult to get past its lack of originality. Early on, the series sets up a goal for the four primary stars: to become the legendary green ninja. Only the best of the four can hope to achieve this status, which generates some friendly competition among the boys as they go about their adventures. Their primary foe at the start of the series is Lloyd Garmadon, not to be confused with his sinister father and chief Ninjago archenemy Lord Garmadon. Lloyd is a hapless dolt who stumbles into a sinister snake tribe and briefly becomes their leader. Unfortunately, his evil plan to lead the snakes to rule the land goes awry when he instead becomes their prisoner. Eventually, he joins forces with Ninjago heroes Kai, Jay, Zane, and Cole to stop an evil menace prophesied to plunge the land into eternal darkness. As the series progresses, it feels more and more like an extended toy commercial than a legitimate attempt at entertainment. 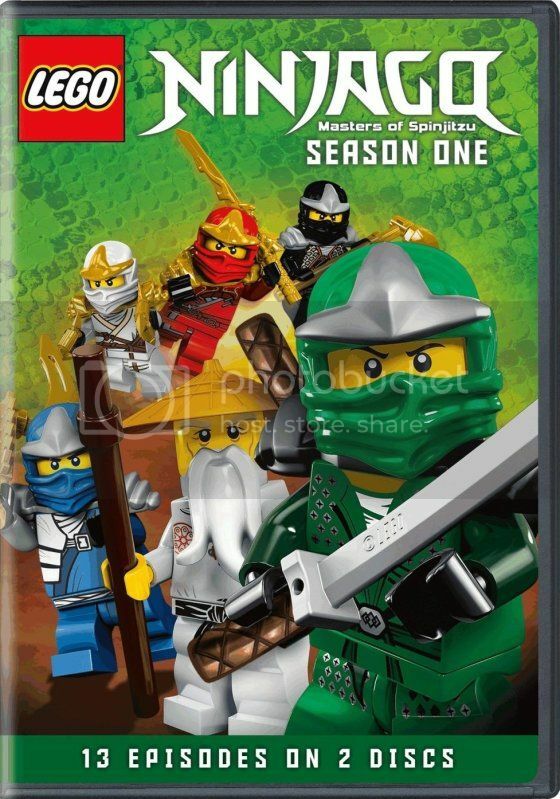 The vehicles, creatures, and select sets can of course be purchased as physical LEGO sets, so every time something new appears on screen you may start to wonder about how much the tie-in toy will cost and when it will be available rather than its actual purpose in the show. There’s nothing inherently wrong with this approach, but it would be nice to see more attention paid to character development rather than toy development in the upcoming second season. The show just feels a bit lacking overall, especially in comparison to the consistently hilarious and creative work UK-based studio Traveller’s Tales does for the extensive cinematics in almost all LEGO video games. The series is produced completely in CG, but of a decidedly low-rent variety. Backgrounds are poorly detailed, and the infrequent camera movement is of the steady swooping variety that generally serves more as 360-degree showroom rotation of the characters and action than offering any kinetic energy addition to the shots. The character models are based on very basic LEGO minifigures, so the bar is fairly low for the successful renditions here. Voice talent is unobjectionable but also not particularly memorable. In short, there’s not much here for serious animation fans to rave about, but the intended kids target audience should be completely satisfied. The DVD set includes all 13 Season One episodes spread across two discs. There are no bonus features.